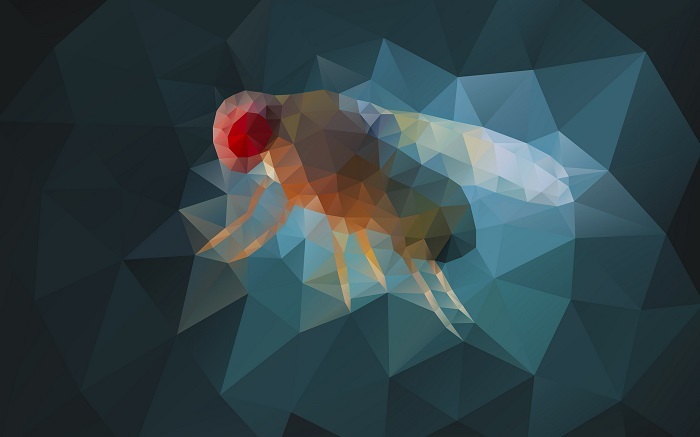 Low-cost sequencing closes gaps in fly genomes. Genetic sequencing technologies have revolutionized biological science, and regular advances in these tools continue to deliver better genomic data—more accurate and more useful—at a lower cost. In G3: Genes|Genomes|Genetics, Miller et al. report the genomes of 15 Drosophila species sequenced using Oxford Nanopore technology. Their work improves on prior assemblies and describes how this technology can be feasibly applied in other labs. Nanopore sequencing is an example of “third-generation” or “long-read” sequencing technology. In contrast to “next-generation” sequencing, which typically generates reads of a few hundred base pairs in length, the Nanopore approach can produce reads of several kilobases. This allows for better coverage and deeper sequencing, but it can also make the sequencing process more error-prone. The authors used the Oxford Nanopore MinION to sequence 15 Drosophila species, all but one of which had been previously sequenced. They also resequenced the genome of Drosophila melanogaster and published their results in a separate report. When compared against reference sequences, their sequences captured a respectable amount of the published genomes (about 83% of the total sequences, on average). To correct for sequencing errors, they employed the polishing algorithms Racon and Pilon, which correct the genome sequences using reference Nanopore reads or Illumina reads, respectively. The polishing algorithms significantly increased assembly quality without altering other assembly statistics. Because Nanopore sequencing produces longer reads, the authors wondered whether their data might be able to close gaps in existing reference sequences that were generated by short-read technology. By aligning short contigs from the reference genomes to their assemblies, they were able to fill ~61% of gaps in the reference genomes, demonstrating how the combination of newer and older technologies can increase the accuracy of genome builds. The authors also describe how Nanopore technology can be readily applied in a variety of labs. They offer advice for sequencing and bioinformatics protocols. They found that using 1-10 µg of input DNA yielded better results than the factory-recommended 400 ng and that the de novo assembler miniasm used fewer computational resources than alternatives but produced comparable products. Excitingly, the material cost of sequencing of the reported Drosophila genomes was about $1000 USD, meaning that genome sequencing via Oxford Nanopore is likely feasible for labs of all sizes.